To read the information about privacy click here. The item "starter audi a4 cabriolet (8h7, b6, 8he, b7) 1.8 t 120kw 163hp 07/200203/09 e" is on sale since Thursday, March 1, 2018. 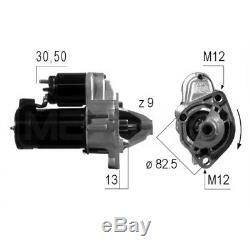 It is in the category "auto, motorcycle parts, accessories \ auto \ spare parts \ electrical components \ starters ". The seller is "mondocarparts" and is located in torino. This item can be delivered anywhere in the world.